These opening lines from “Coming out as Dalit” written by Yashica Dutt, published by Aleph, capture the angst and identity crisis resulting from denying the history of one’s own and pretending to have one that is nonexistent. This write up does not follow strict rules of book review if any. Personal experiences mentioned in the piece only emphasise the authenticity and relevance of the book. It may seem strange and and maybe hypocritical, why someone educated might still be ashamed of their caste unless they themselves didn’t believe in the logic of the caste system. That's how entrenched is the caste system in our psyche. Our Brahmanical pedagogy and education system rarely instill the values of dignity and equality among students. Even if the anti-caste movements have made considerable advancements as a collective as well as in terms of individual success, there is no denying that caste still informs our culture, practices and interactions both consciously and subconsciously. 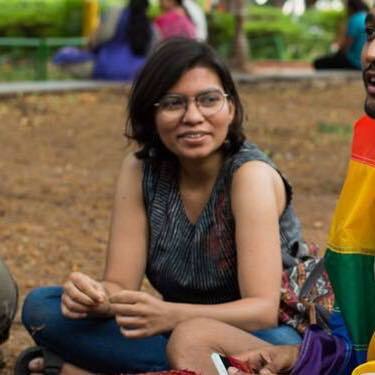 Coming out as Dalit, as the title indicates, is Dutt’s journey of coming to terms with her identity and realising that her community’s history is not that of shame, but of discrimination and exploitation. Yashica not only takes us through her personal journey but also is acutely aware of the socio-political condition in which she is writing Dutt’s embracing of her identity publicly, was triggered was by the suicide of Rohit Vemula, whom Dutt has dedicated the book along with her mother. The political conviction of Rohith and the conditions under which he was compelled to take such a drastic step, moved Dutt to pen the article. Following the wide reach of the article, Dutt came in contact with anti-caste activists across the globe and began educating herself about the history of Indian society and anti-caste movement in India. Dutt admits to have read Ambedkar only after publicly admitting to being a Dalit in her viral post published in 2016. It shouldn't come as a surprise if many dalits haven’t read Ambedkar, the tallest icon when it comes to their emancipation. Wearing what is considered “lower caste” identity on sleeves is still rare, unless one is born into a family with close connections to the movement or some training in social sciences, caste identity and the shame associated with it remains a critical concern. Not all dalit households have portraits of Babasaheb Ambedkar in their drawing rooms. There are so many instances where the members of dalit/bahujan community are dumbfounded when they face casual casteism and anti-reservation rhetoric from their peers. Dutt details her life growing up in a small town and in financial turmoil with a mother who wanted best for her children which were only reserved for the socially and economically well off. Her mother’s insecurities about her children being discriminated or humiliated in the unfair world is too familiar. Dutt recounts how she learnt to hide her caste and pass off as an upper caste to be accepted in varied spaces and groups. She elaborates on the lack of belonging, which the privileged would so easily move around with. I have struggled with a similar feeling, where I feared I would be reduced to my caste identity whereas my critical thinking abilities will be underplayed. Ordinary achievements like getting a degree or studying abroad, come at a greater cost resulting from the lack of social and economic capital which has been acquired through several generations. These ‘ordinary achievements’ must be celebrated as for they it takes generations to fulfill simple dream. Coming out as Dalit, is not the first Dalit autobiography. The Marathi book, Baluta, by Daya Pawar was the first autobiographical narration written by a Dalit. Aydaan/weave of life by Urmila Pawar, Jina Amucha/Prisons we broke by Babytai Kamble were either read in Marathi/Hindi have been translated in Indian languages, some of which have been translated in English much later. As English is considered to be an empowering language with relative material advantages, Dalit/Bahujan students aspire to ace it. It is not uncommon to hear people assuming you belong to upper caste if you are fluent in English. Autobiographies written by previous generation left me with a sense of guilt for living relatively better life. Even if I could understand their pain, I could never completely relate to their experiences. Reading a memoir by a contemporary author, gives a certain reassurance and a sense of belonging. Though Dutt and I haven’t led identical lives, or we may not have same opinions on every issue, between us, the invisible burden of history, double shame, insecurities, frustration, fear, hesitation, self doubt, self flagellation are indistinguishable. Vidula is an independent researcher and writes about various social issues.